Have you ever logged in to your Back Office and gotten a little overwhelmed? We get it; there’s a ton going on back there! That’s because we believe that you deserve complete transparency in your business and everything we have to offer. Check out the new features you should be taking advantage of to support your Customers and teams and to build your business. Your Back Office Was Updated 17 Dec 2017! We’re cleaning things up so you can easily access everything you need and so that your Back Office workspace is ready when new reports become available in coming months. Streamlined and expanded navigation of your left-side dashboard. A brand-new “Reports” tab features a clearly organized page to access reports relevant to “Action,” “Recognition,” “Business,” and “Leadership” to pull the right reports with ease. “New Rank Advancements” report (formerly “Rank Advancements for Downline”). “Top 50 Cyclers” report (formerly “Top 25 Cyclers”). Watch this brief video for an overview of the refreshed Back Office and the reporting upgrades. Download this helpful .pdf to see where your reports have moved to now. 2018 Is Going to Be Huge! 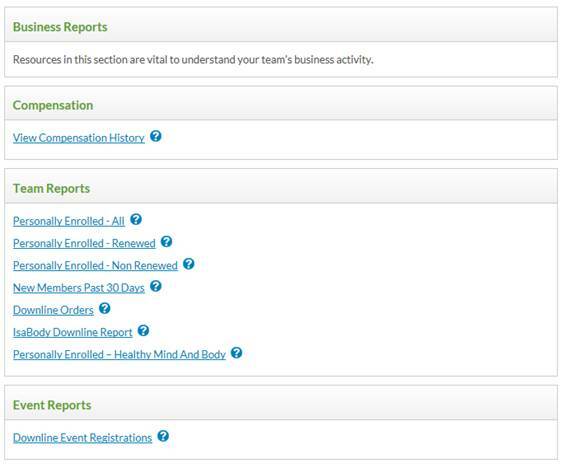 Your Isagenix reporting teams are working diligently to equip you with as much information as possible. This update is just the first of many exciting things to come in 2018 that will be instrumental in streamlining your business-building activities! Don’t let your Back Office intimidate you. Spend a few minutes a week viewing your reports and looking for opportunities to connect, support, and develop your team. You’ve got this!